The boys pretty much steered the decorating outside this year. They wanted to do something fun. Come on down lollipop lane! I am still growing our outdoor decor. I have visions of fuller garlands and large ornaments hanging down from the ceiling. 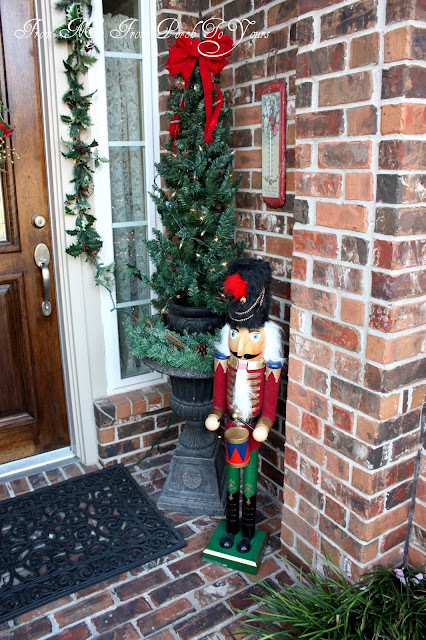 The Nutcrackers guarding Santa's Wonderland actually come inside. We have been having issues with thieves following the UPS trucks and swiping left packages. Very disheartening. Thus I now have to keep them in for now. I used my lil 4 ft pre lite trees in urns and placed them in our larger urns with a wreath at the base to fill in. 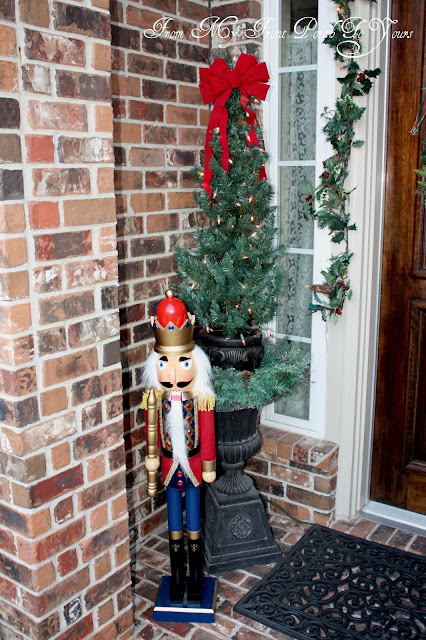 I just love our Nutcrackers that we purchased at CVS last year for just $20 a piece after Thanksgiving! I purchased this cute vintage like thermometer out at the cottage last week. Our wreath the past few years just had a burlap strip that I used to hang it up. It was worn and so I replaced it with this pretty pre made bow and added a red ribbon to hang it from. Hope y'all are having a wonderful week! Don't forget about the Annie Sloan North American Tour Giveaway or Treasure Hunt Thursday all happening now! What a festive entry!! Love the lollipops!! The porch area is so warm and inviting! Love it! First of all....I LOVE the brick on your house...I covet it actually. LOL! Truly though, friend, everything looks so perfectly Christmas-y and so fun too. :-) Love what you did with stacking the urns for extra height! Thank you so much for linking it up to the Doors and Porches party! Love your lolly pops! Your outdoor decor is charming. Pamela, this is so cute and fun. Love the lollipops! It's a shame that you have to bring your nutrackers in, but it's better to bring them in than to lose them. Love the lollipops, Pamela! Very fun! I remember those nutcrackers, too. That was a great buy. I did hear on the news about the package stealing. I'm sorry to hear that its been affecting your area. I don't know what is wrong with people sometimes. This is probably a good Neighborhood Watch issue. Oh my goodness! I love everything, girlfriend! Your thermonter is amazing! 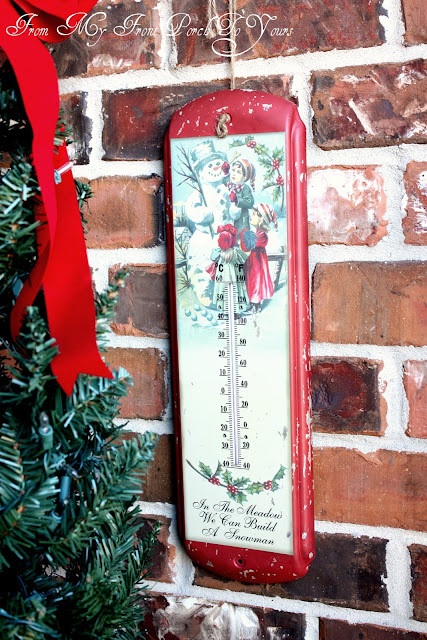 Love your gorgeous wreath and what a deal on the nut crackers! OH, I love it! The lollipops made me smile, a LOT! I also wanted to make sure that I follow you but Pamela, your sidebar has disappeared...I also refreshed the page and still don't see it...hmmmm. So pretty Pamela! 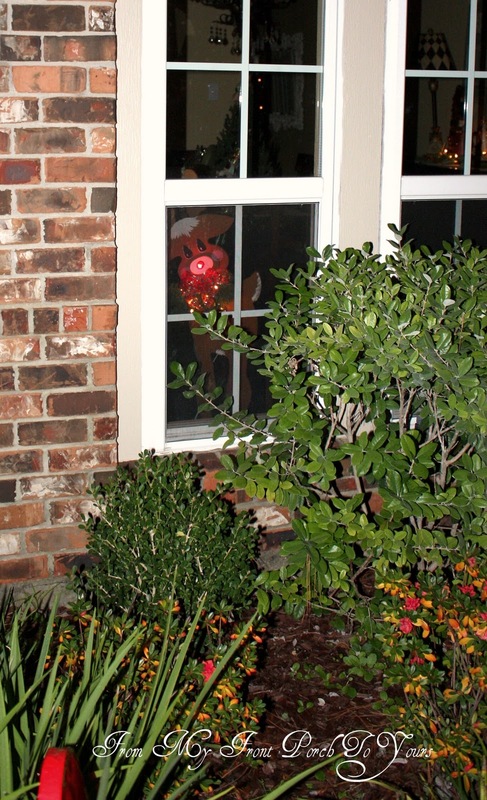 I love your lollipop lane and Rudolph peeking out the window...cute idea Littliest had there!!! Pamela, this is so beautiful and love the Lollipop Lane! I love nutcrackers and those look amazing guarding your door. Thanks for sharing! Beautiful entry, Pamela ... love the nutcrackers welcoming you! 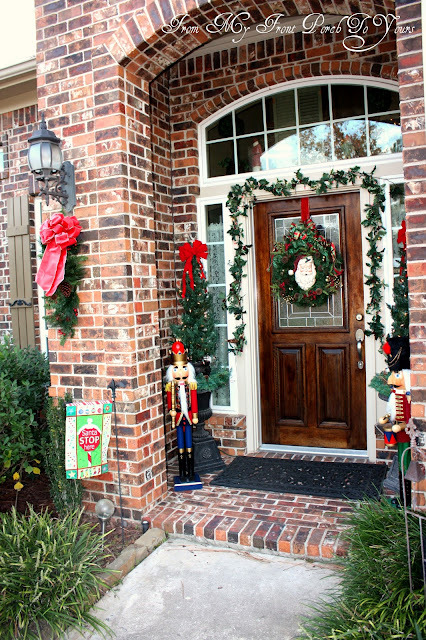 And, the Santa wreath is so festive and warm. 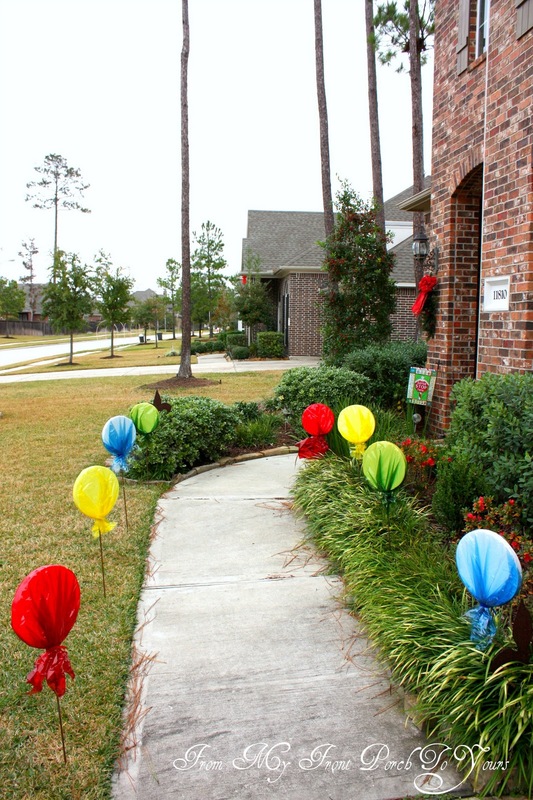 Love the whimsical sidewalk ... the kiddos did great!